Actor-politician Kamal Haasan today refused to be drawn into the Sabarimala controversy, saying it won't be proper to seek an opinion from him on the matter. When asked about the Supreme Court verdict not being "respected" by Kerala in this case or by Karnataka in the Cauvery water dispute with Tamil Nadu, Kamal Haasan shot back saying "one can't say Kerala (government) is not respecting" the judgement. "In Karnataka, the government is not respecting and in this case people are not respecting. There is a difference between the two," he added. Kerala has been witnessing protests against the entry of girls and women of menstrual age into the Sabarimala temple since the government had said it would abide by the ruling of the top court. 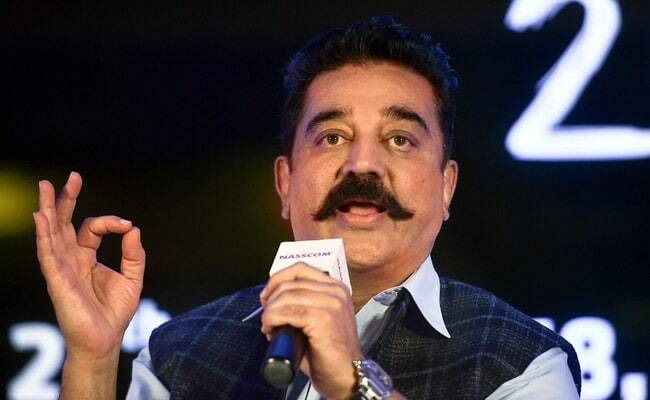 To a question on reports of MNM's possible alliance with the Congress for next year's Lok Sabha polls, Kamal Haasan said it was "too early" to talk about it. Internal discussions were going on in the party about MNM facing the parliamentary elections, Kamal Haasan added.